Are a natural ingredient brand, not tested on animals, organically grown plants when possible,fairly traded ingredients & free of phthalates, sulphates, synthetic colours and fragrance, parabens, GMOs, mineral oils, petrolatum, propylene glycol. The launch of This Works Light Time unique skincare range has been designed to tackle the physical effects of sleep on the skin. A good night's sleep can have such a positive effect on our skin as well as a bad night's sleep can have a negative effect. This range is designed to help reverse those restless, disrupted night's effect that our skin can have. 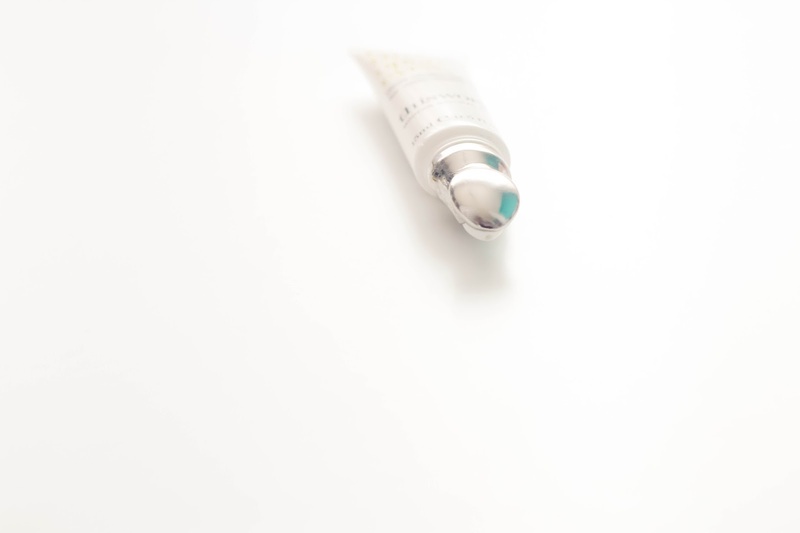 Puffy, lined and drawn, fatigued skin can now be allowed to look bright and energised with these products and where is the most tell-tale sign - The Eyes! 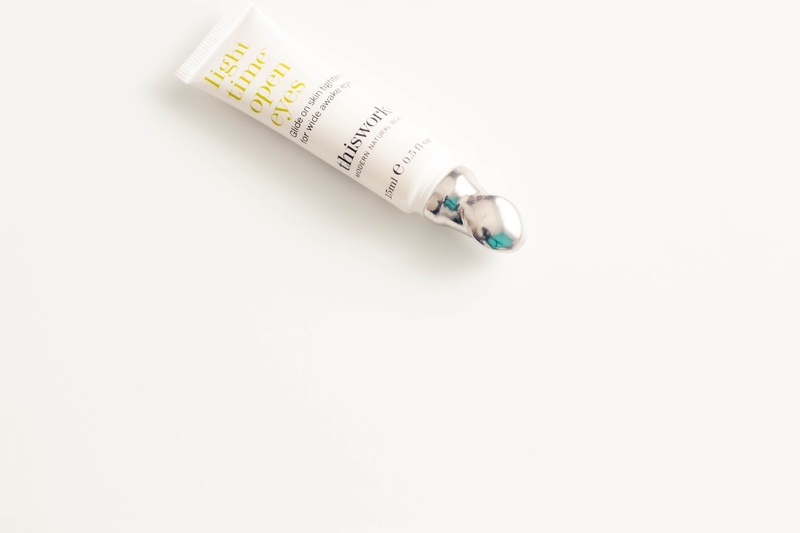 Light Time Open Eyes within this cream are potent algae-derived extracts that are rich in Vitamin C and B12 which promotes an instant tightening effect which is supposed to leave the eyes feeling more awake and works to support and stimulate the skin's collagen to promote anti-ageing. 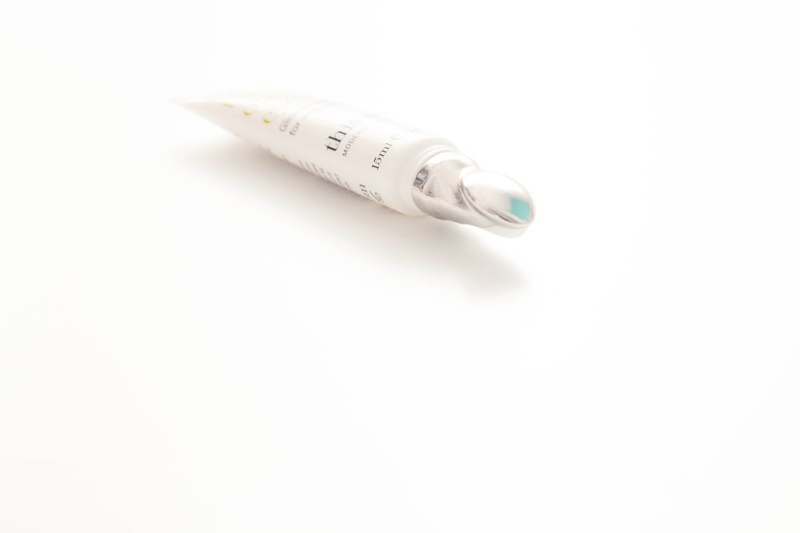 This 15ml tube has a unique metal applicator tip that stays cold, as you press the tube under the metal tip the cream slowly dispenses, it doesn't come out heavy, it's easily controlled and it might be because there is a pin sized hole. The cream has a soothing aloe vera & comfrey root help to depuff the eyes, honestly I don't have issue with puffy eyes, but tired & tight yes. Also Argan oil, high Hyaluronic Acid and a sugar based wheat active (which is?) aid for deep hydration tightening lines and wrinkles caused by dehydration. Crambe oil provides moisturising and protective essential fatty acids for a plumping effect while Persian silk tree extract detoxes the skin which reduces any signs of fatigue. The cream is full of natural active & extract ingredients, some I've never heard of before. Looking more at the ingredients it's got shea butter, jojoba, candelilla, rice bran, extracts from coconut oil & glycerin which are good for replacing the moisture lost in skin. 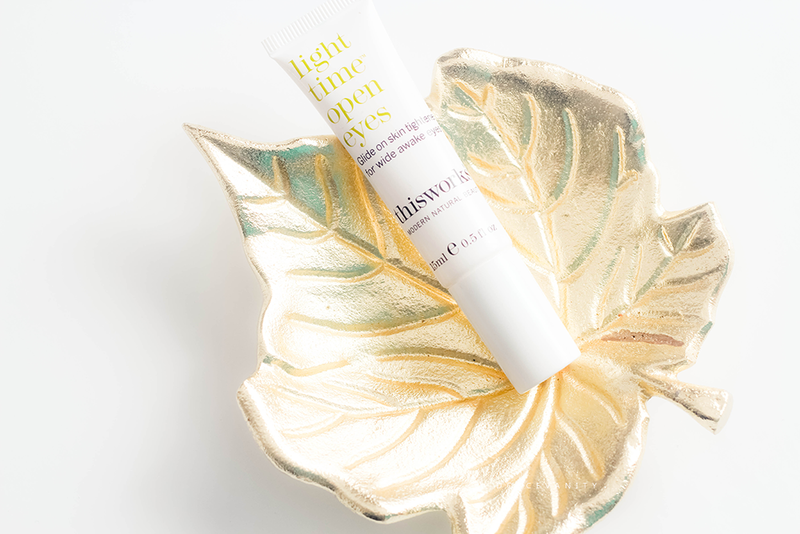 I think the best thing about this eye cream is the metal applicator, in the mornings during my routine, I will squeeze some of the cream out and use the tip in circular motions and onto my upper lid and do soft wiper motions. The cooling of the metal is a moment for a sigh of relief when the eyes feel so tired. I will then tap with my ring finger to absorb the cream more and let it sink in, it's not heavy or oily. Ideal for daily use as most days I'm not wearing makeup I couldn't say how long before makeup application but my eyes do feel revived and awake after this, could it be the combination of the cream & metal tip, maybe so it certainly helps out more. Saves time putting the spoons in the fridge, such an oldie but goodie, don't you agree? From what I've gathered online, This Works do not test on animals, or associate with companies who do, their products are shipped to China but are not distributed in stores, products are despatched orders from customers placed on their website to China but there's nothing official as in on their site or on their packaging to let you know.